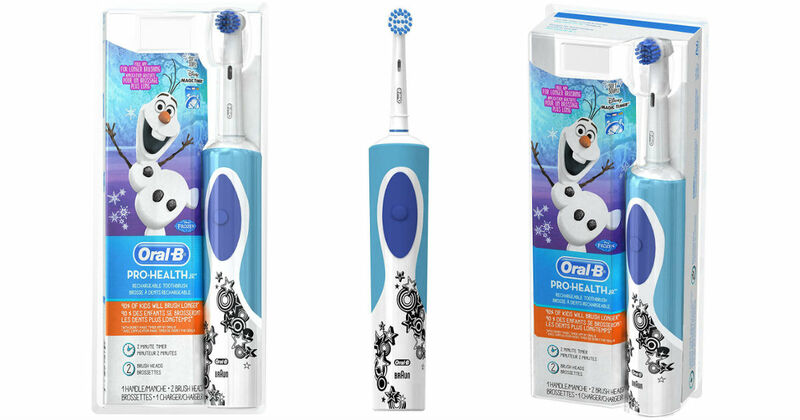 Amazon has this Oral-B Kids Electric Rechargeable Power Toothbrush Featuring Disney’s Frozen with TWO Sensitive Brush Heads for only $14.99 shipped when you clip the $5 off digital coupon under the price. For a limited time only, Amazon is offering Free Shipping on all orders for everyone. This offer applies to items sold by Amazon only and does not apply to add-on items.